The new redesigned operators station includes such features as a newly designed monitor, 2 speed travel switch located on the backfill blade lever, and the auxiliary hydraulic switch located on the joystick. 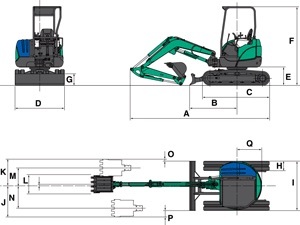 With the widest ranging expandable tracks, the 35VX-3 can access tight spaces by retracting the tracks to 60” and expanding to 71” for greater stability and performance. Like no others in the industry, the rubber track is warranted for either 2 years or1,500 hours against steel cord cut-off. 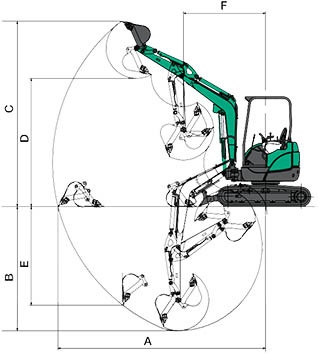 The swing motor with an auto parking brake allows the unit to be locked at any position within a 360° circumference.